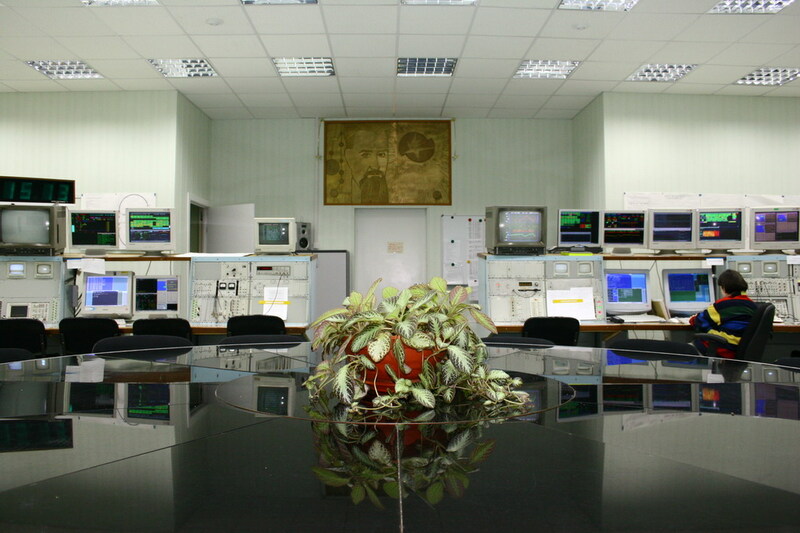 The VEPP-4 accelerating-storage complex is the unique Russian particle collider in the 2-11 GeV energy range (center-of-mass reference system). Moreover, owing to some characteristics, this complex is the unique facility on a global scale. 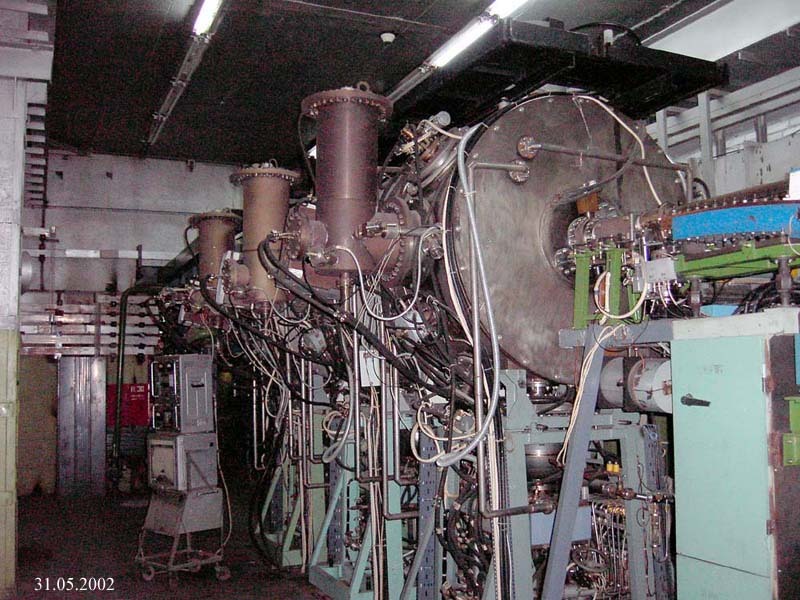 The VEPP-4 is designed for high-energy physics experiments. Now, the basic instrument to study elementary particles and fundamental properties of matter is the colliding beams method. 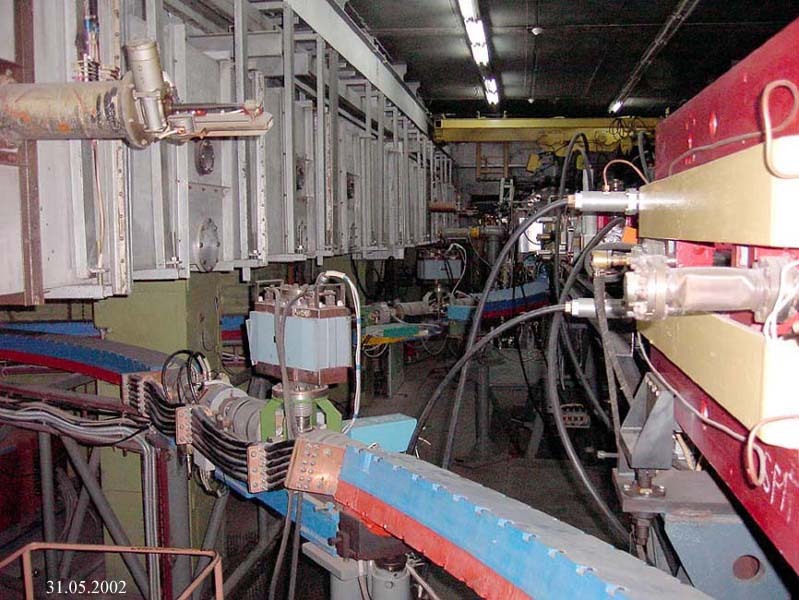 The main principles of particle colliders have been formulated and realized first in Budker Institute of Nuclear Physics and in a few of other laboratories. Using more than 40-years expirience of BINP in the area of colliding beams and accelerator physics, the VEPP-4 team carries out high-energy physics experiments of global scientific interest. At the VEPP-4 facility, a method of absolute particle energy calibration is realized using the resonant depolarization technique. The world-record relative accuracy of about 10-7, providing by the resonant depolarization method, is not reached yet in any other laboratory. Such a method of particle energy calibration gives a possibility to measure masses of elementary particles with extremely high precision. Masses of the J/psi and psi' mesons measured at the VEPP-4 are among 10 most precisely known particles masses. 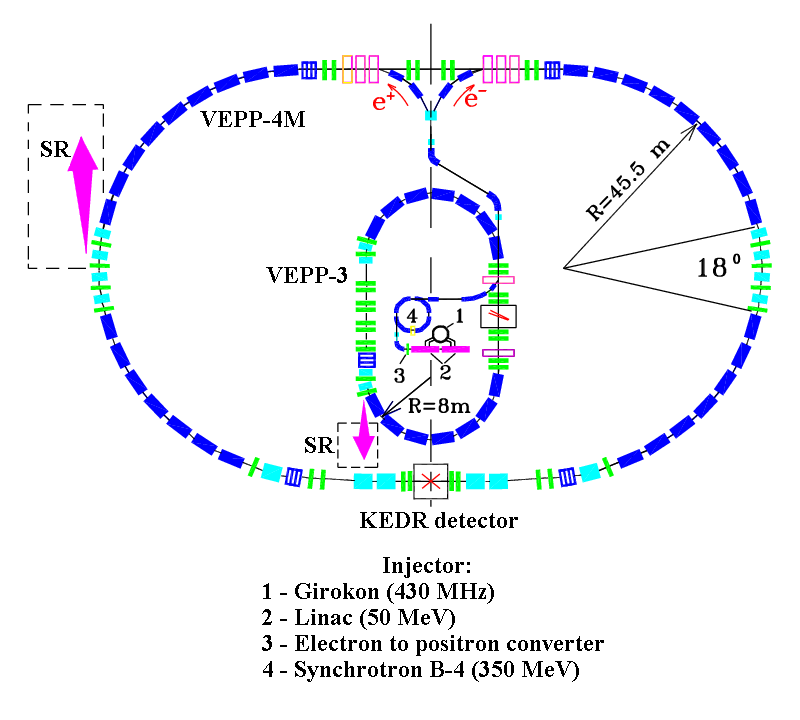 Now, the VEPP-4M electron-positron collider is operating for high-energy physics experiments in the 1.5-2.0 GeV energy range. The most important of them is precise measurement of the tau-lepton mass at the producing threshold. The tau-lepton mass is used to test the lepton universality principle which is one of the postulates of the Standard Model, the most complete theory describing fundamental properties of matter and elementary particles. The VEPP-4 accelerating-storage complex includes: the linear accelerator with the maximal beam energy of 50 MeV, the booster synchrotron (350 MeV), the VEPP-3 storage ring (2 GeV) and the VEPP-4M collider (6 GeV). The KEDR detector consists of the vertex detector, the drift chamber, the time-of-flight system of scintillation counters, the particle identification system based on the aerogel Cherenkov counters, the calorimeter (the liquid krypton in the barrel part and the CsI crystals in the end caps), the superconducting magnet system and the muon tube system inside the magnet yoke. The superconducting solenoid produces up to 1 Tesla longitudinal magnetic field in a volume of 216 cubic meters. For the first time, the idea of a homogeneous liquid-Kr electromagnetic calorimeter is realized in the KEDR detector. 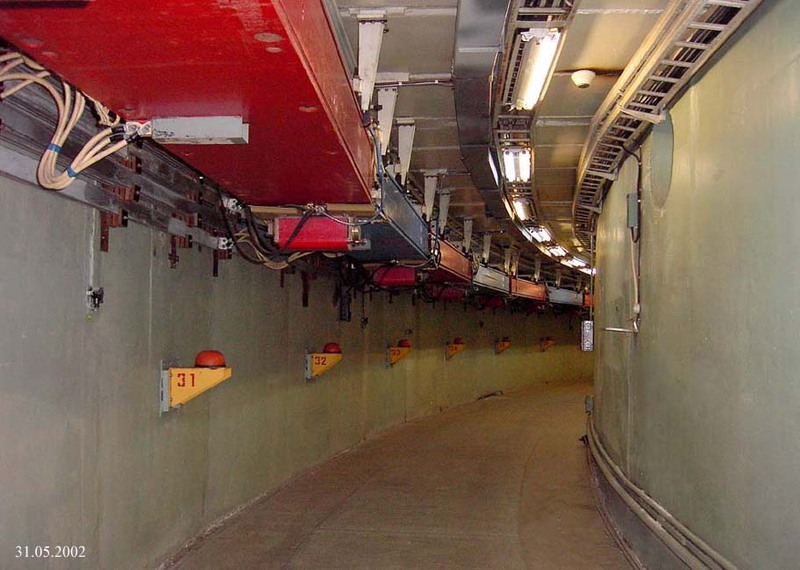 In addition to high-energy physics, nuclear physics experiments are carried out at the VEPP-3 storage ring using a record-intencity internal polarized gas target. Study of electromagnetic form factors of the proton performed at the VEPP-3 allows to understand the nature of the proton as well as the nature of its quarks interactions. 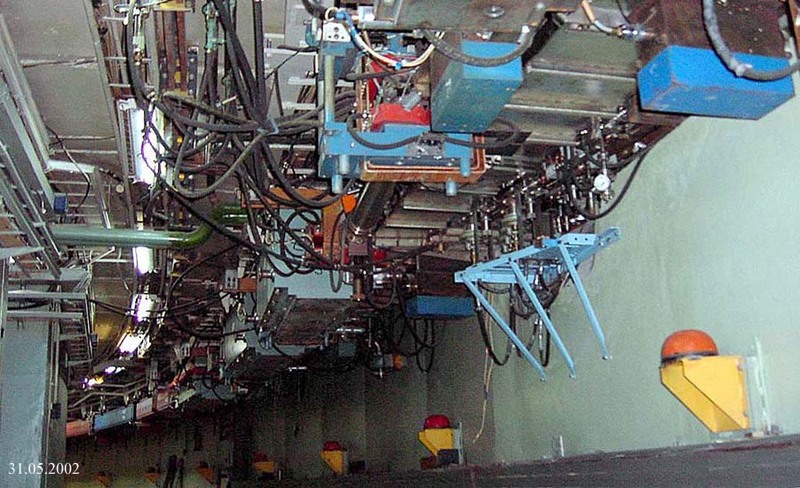 The VEPP-3 storage ring is the unique facility in the world which makes possible such experiments. 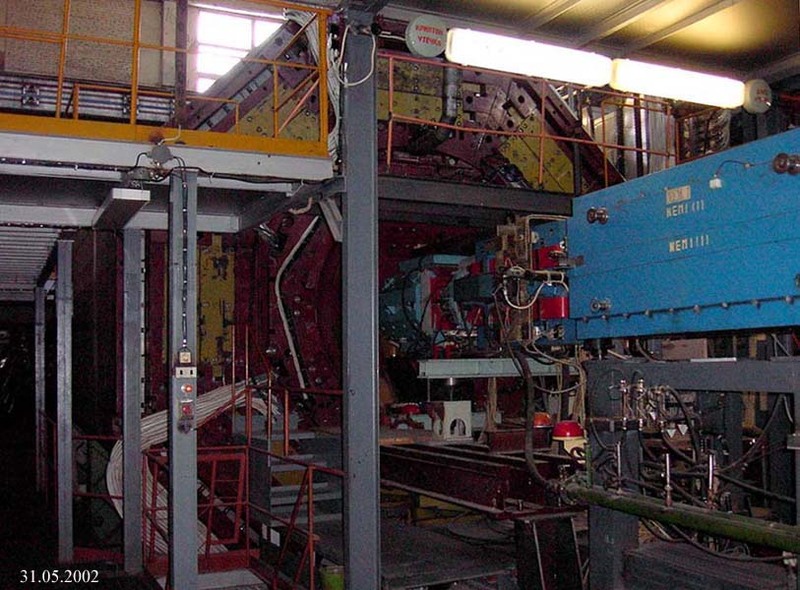 More than 30 groups from Russia and foreign countries carry out scientific research and development of new technologies using SR beams from the VEPP-3 and VEPP-4M storage rings. The main subjects are: materials technology, paleoclimate investigations, archaeology, biomedicine, nanotechnology, etc. Well-qualified specialists of the VEPP-4 accelerator group perform investigations on beam dynamics and accelerator physics. Scientific staff of the VEPP-4 accelerating-storage complex takes part in a number of national and international collaboration projects together with scientists from Germany, France, Italy, Switzerland, Spain and USA.